El Tivoli Place is big on beauty, charm, life, and style. Despite its proximity to downtown Dallas, the neighborhood maintains a quiet, serene vibe characterized by rolling hills, creeks, winding streets, and old-growth trees. And the history of El Tivoli Place is every bit as colorful as the tapestry of native spring flowers growing throughout the area. Kidd Springs is a mix of yesterday, today, and Oak Cliff natural resources rolled into one trendy lifestyle package. Likewise, Kidd Springs Park and Recreation Center is not only the current gathering spot for neighbors, but the site is also where the neighborhood began. According to Heritage Oak Cliff, formerly the Old Oak Cliff Conservation League, Kidd Springs Lake is the namesake of Colonel James W. Kidd Sr., who purchased 200 acres of farmland adjoining the natural spring in the 1870s. By the turn of the 20th Century, the site contained an upscale country club where the elite socialized in Oak Cliff. Kidd Springs Park and Recreation Center continues the social tradition today. In addition to the small lake, the expansive complex includes a swimming pool, tennis courts, and baseball field, as well as Oriental and butterfly gardens. Neighborhood Spotlight: What’s in a Name For L.O. Daniel? The L.O. Daniel neighborhood is every bit as noteworthy as its legendary namesake. Lark Owen Daniel may not be a household name today, but he left his footprint in North Oak Cliff and the downtown Dallas business world. Daniel moved to the area from Waxahachie in 1890, according to Heritage Oak Cliff, and made his fortune as the founder of Daniel Millinery company downtown. As a business and civic leader, he was also a founder and officer of Mercantile National bank, which subsequently became MBank, Bank One Texas, and JPMorgan Chase Bank through a series of mergers and acquisitions. And he served as president of the Dallas Chamber of Commerce, Wholesale Merchants Building Company, and Trade League. In 1901 – the same year the City of Dallas annexed the town of Oak Cliff – Daniel purchased 27 acres of rolling countryside in the future neighborhood that now bears his name. Within the next four years, Daniel reached millionaire status and celebrated his success by building a luxurious 5,000-square-foot Colonial Revival mansion on the property. The City of Dallas designated the L.O. Daniel homestead a historical landmark in 1984. Located across the street from Sunset High School, the restored wood frame mansion with two stories of wrap-around porches is the centerpiece of the neighborhood. 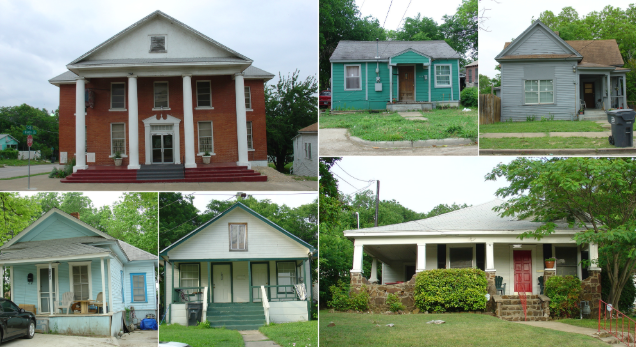 One of the only remaining intact Freedman’s Towns in the entire country, the Tenth Street Historic District in Oak Cliff’s importance to the community that still has roots there — as well as to the city — is something historians and preservationists feel they can’t stress enough. The folk and period homes within the district were built in the late 19th and 20th centuries, with the city of Dallas tabulating 257 homes, four commercial buildings, three institutional buildings, and one cemetery within its boundaries. It is believed that the first residents of the freedman’s town were slaves freed after the Civil War ended, many former slaves of Dallas cotton farmer William Brown Miller. A church was built in 1880, and a school opened six years later. More people arrived when T.L. Marsalis platted the neighborhood four years after that. In the hilly, scenic neighborhood of Wynnewood, we’ve found a open-floorplan home with sleek style and big renovations. 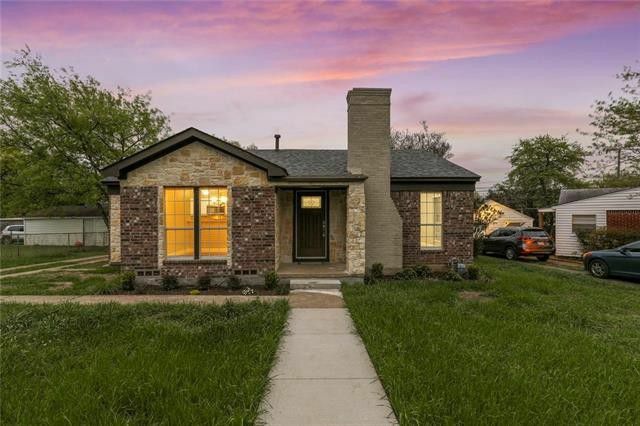 Many of the houses more than 350 homes there are quite affordable and have attracted the attention of flippers, like our Tuesday Two Hundred at 2454 Garapan Dr. Both exterior and interior are totally updated, including a new roof, insulation, electrical wiring, windows, water heater, security system, and HVAC condenser and furnace. 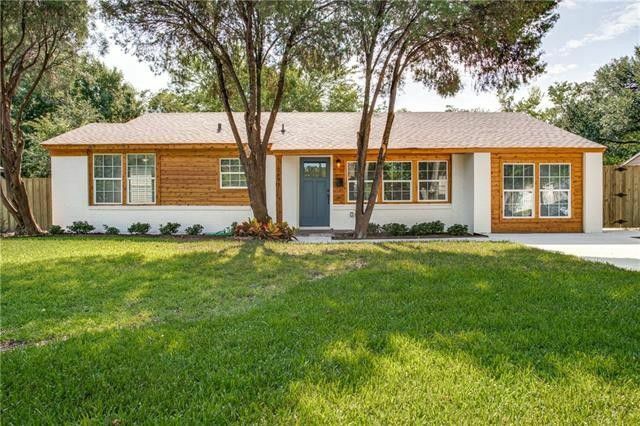 This home has three bedrooms, two bathrooms, two living areas, and 1,512 square feet on one story, built in 1946. One of the goals of midcentury architecture was to foster a sense of connection between indoor living spaces and the outside. One 1962 Oak Cliff house achieves that beautifully through thoughtful design and offers enviable views. Our Thursday Three Hundred at 808 Wood River Rd. is perfectly perched on an oversized lot with tons of large windows, a loft area with views, and multiple access points to the front and backyard spaces. 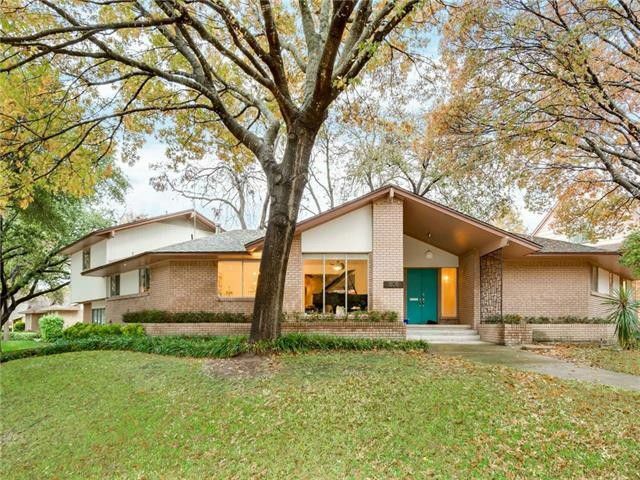 This home has four bedrooms, two full bathrooms, two half baths, three living areas, two dining areas, and 2,647 square feet on two stories, built in 1962 and sitting on 0.33 acres, with multiple mature pecan trees and landscaping. Fall home tour season approaches, and we here at CandysDirt.com can’t wait to show you all of the wonderful events showcasing the diverse and exceptional architectural palette this city offers! 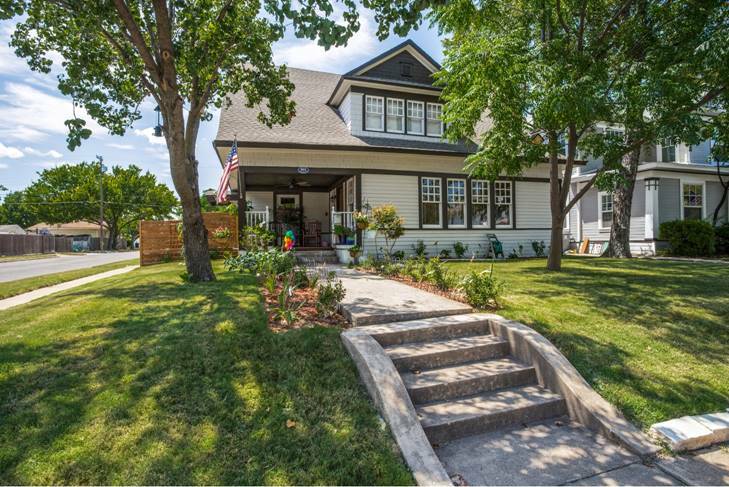 First up is the reveal of the 2018 Heritage Oak Cliff Home Tour stops! On Sept. 10, Heritage Oak Cliff’s members and guests will get a first look at the nine beautiful homes selected for this year’s tour. The reveal party is planned for 6:30 p.m. at the Bishop Arts Theater (215 S. Tyler).